At yesterdays "Final Fantasy XV" Uncovered event, Square Enix officially announced the titles worldwide launch date as well as revealed a new mobile game titled, "Justice Monsters Five." 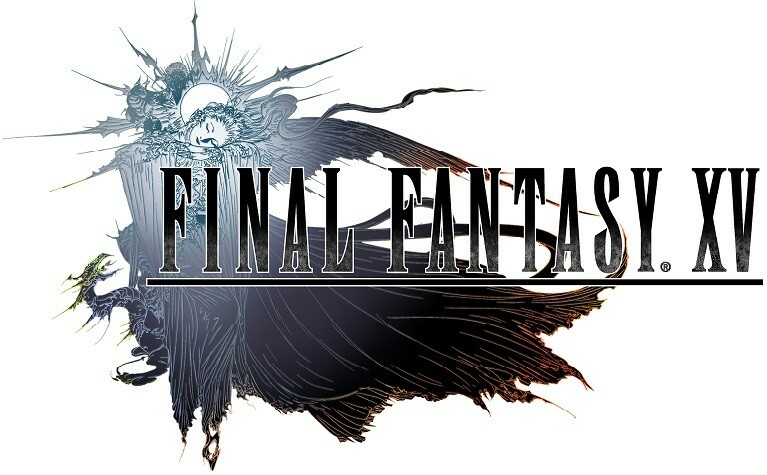 This news ends a long wait for fans as the title was originally announced at E3 2006 as "Final Fantasy Versus XIII" before being re-branded as "Final Fantasy XV" at E3 2013. Square Enix officially announced that "Final Fantasy XV" will launch worldwide on Sept. 30 for PlayStation 4 and Xbox One. Two Collector's Editions were also revealed. 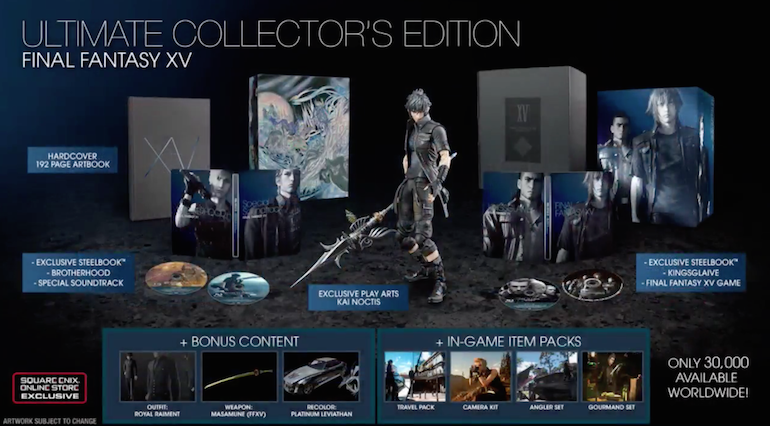 A Deluxe Edition will be available for $89.99 and include a steel book packaging, as well as a bonus outfit, weapon and skin for Noctis' car. An Ultimate Collector's Edition was also revealed, although only 30,000 units will be available worldwide so when it becomes available make sure you hop on buying it. 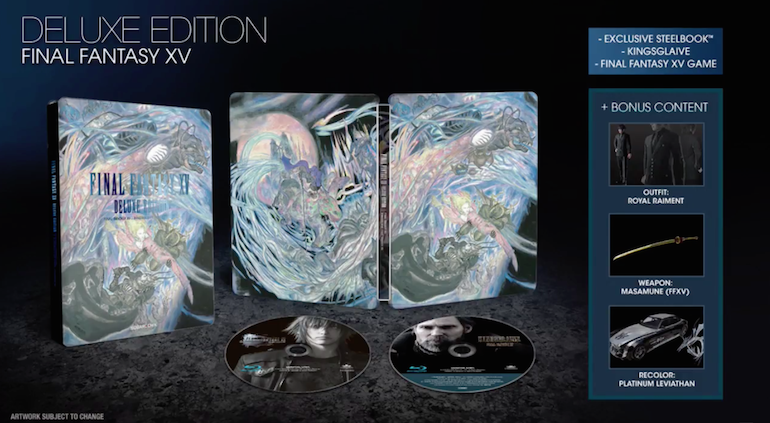 This edition will cost $269.99 and will include a hardcover art book, a soundtrack, an exclusive Play Arts Kai Noctis figure, plus the same bonus content found in the Deluxe Edition and four-in-game item packs. This pack will be exclusive to the Square Enix Online Store and will also include the exclusive sixth episode of "Brotherhood Final Fantasy XV," the animated series also announced at the Uncovered event. Meanwhile, Square Enix also announced a new mobile game will be coming titled "Justice Monsters Five." The title is a pinball game that combines "role-playing elements with some of the franchise's most iconic monsters" and will be available on iOS, Android and Windows 10 platforms in 2016. "Justice Monsters Five" will be playable in-game in "Final Fantasy XV" or on your mobile device and will allow for gamers to "enjoy Noctis and company's favorite pinball pastime." If you happened to miss any of the "Final Fantasy XV" Uncovered event you can check it out below as well as the "Justice Monster Five" trailer.